Teaching the latest developments in medicine to help physicians maintain knowledge, learn new skills and provide cutting-edge patient care. 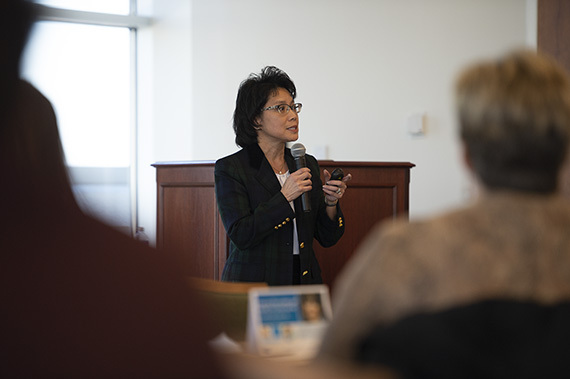 Learn about the latest evidence-based medicine through innovative grand rounds, case presentations, conferences, workshops and more. EVMS is committed to offering high-quality CME activities so physicians and healthcare professionals can continuously improve their practice and provide the best care to patients. Some of our regularly scheduled series are televised to different sites in rural Virginia and North Carolina; these same programs are available for yearly individual subscriptions. Access a list of your CME credits. Help clinicians and healthcare professionals improve their care and bolster your own professional development as a medical educator. 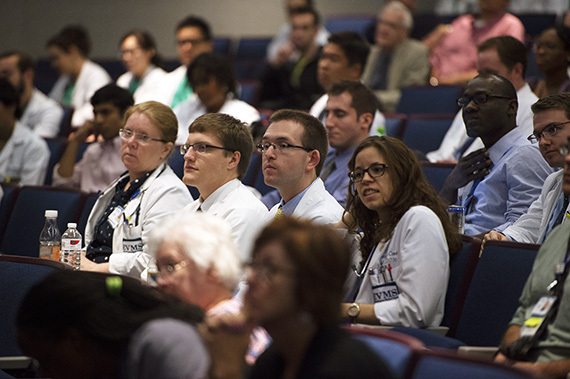 Participate in new learning, and apply that knowledge by teaching medical students, residents or fellows as a presenter to earn AMA PRA Category 1 Credit. Each of the following activities fulfills 1 hour of the requirement by the Virginia Board of Medicine of 2 CE hours on pain management, proper prescribing of controlled substances, and the diagnosis and management of addiction required for physicians’ licensure in the State of Virginia. Professional development bytes are chunks of information relevant to faculty. The bytes vary in length from 15 to 30 minutes. Each byte is accompanied by a page describing the presenter, listing learning objectives and resources associated with the topic of the byte. CME credit is available for each byte. EVMS is accredited with commendation by the Accreditation Council for Continuing Medical Education. EVMS CME will provide high-quality, evidence-based educational activities with the expectation of providing measureable outcomes that will enhance practice, reduce professional practice gaps and increase competency.